In its simplest form, classroom assessment is about collecting data, looking for mastery of content, and guiding instruction. These things are more complex than they sound. Teachers will tell you that they are time- consuming, often monotonous, and seemingly neverending. All teachers are required to assess their students, but the good teachers understand that it is more than just assigning grades for a report card. True classroom assessment shapes the ebb and flows within a classroom. It drives daily instruction becoming the engine for not only what is taught, but how it should be taught. All teachers should be data-driven decision makers. Every individual assessment provides critical data that can potentially provide us with another piece of the puzzle to maximize a single student’s learning potential. Any time spent unwrapping this data will be a worthy investment to see a dramatic increase in student learning. Classroom assessment is not one of the glamorous aspects of being a teacher, but it may be the most important. To put it simply, it is hard to know how to get somewhere you have never been if you do not have a map or directions. Authentic classroom assessment can provide that roadmap, allowing every student to be successful. Every teacher is required to teach specific standards or content based on subjects taught and grade level. In the past, these standards have been developed by each state individually. 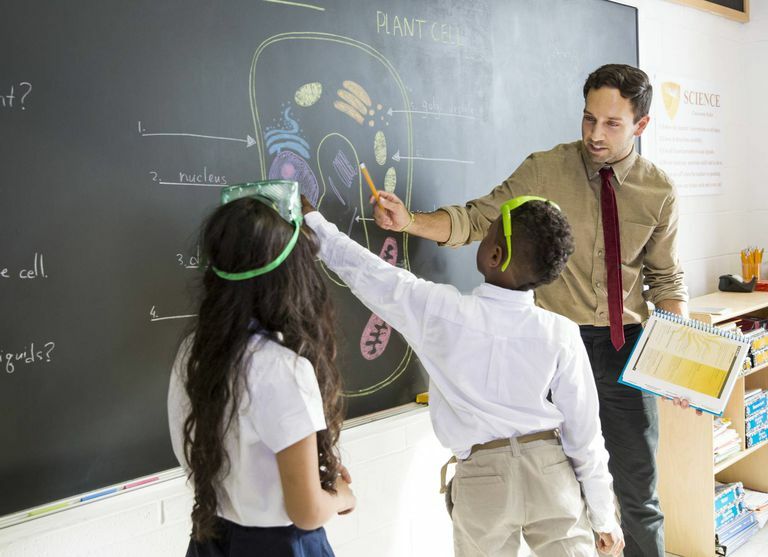 However, with the development of the Common Core State Standards and the Next Generation Science Standards, many states will have shared standards for English Language Arts, Mathematics, and Science. Standards serve as a checklist for what is supposed to be taught throughout the school year. They do not dictate the order in which they are taught or how they are taught. Those are left up to the individual teacher. 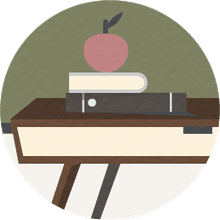 Utilizing a benchmark assessment based on standards provides teachers with a baseline for where students are individually as well as where the class is as a whole at selected checkpoints throughout the year. These checkpoints are typically at the beginning, middle, and end of the year. The assessments themselves should include at least two questions per standard. Teachers can build a solid benchmark assessment by looking at previously released test items, searching online, or creating aligned items themselves. After the initial assessment is given, teachers can break down the data in a variety of ways. They will get a quick idea of what each individual student knows coming into the year. They can also evaluate whole group data. For example, if 95% of the students get all the questions correct for a particular standard, the teacher should probably teach the concept early on in the year without spending an inordinate amount of time. However, if students perform poorly on a standard, the teacher should plan to devote a greater amount of time later on in the year. The middle of the year and end of the year assessments allow teachers to measure overall student growth and whole class understanding. It would be wise to spend more time re-teaching a standard in which a large portion of the class struggled with on an assessment. Teachers can also reevaluate their approach with individual students who are lagging behind possibly offering tutoring services or increased remediation time. There are lots of diagnostic programs available to assess individual student strengths and weaknesses quickly and accurately. Too often, teachers get caught up in the big picture that these assessments provide. Programs such as S.T.A.R Reading and S.T.A.R. Math provide grade-level equivalency for students. Many times teachers see that a student is at/above grade level or below grade level and stop there. Diagnostic assessments provide so much more data than grade level equivalency. They provide valuable data that allows teachers to quickly decipher individual student strengths and weaknesses. Teachers who only look at grade level miss the fact that two seventh grade students who test at the seventh-grade level may have holes in differing critical areas. The teacher may miss the opportunity to fill these gaps before they become a hindrance down the road. Individualized learning starts by providing continuous feedback. This communication should occur daily in both written and verbal form. Students should be helped to understand their strengths and weaknesses. Teachers should utilize small group or individual meetings to work with students who are struggling with specific concepts. Small group instruction should occur every day and individual meetings should occur at least one time per week. Some type of feedback other than just a grade should be provided for every daily assignment, homework, quiz, and test. Simply grading a paper without reinforcing or re-teaching the incorrect concepts is a missed opportunity. Goal setting is another essential part of the teacher-student collaboration. Students should understand how the goals are tied to academic performance. Goals should be high, but attainable. The goals and progress towards them should be discussed regularly, and reevaluated and adjusted if necessary. Every assessment provides a story. Teachers have to interpret that story and decide what they are going to do with the information that it provides. An assessment must drive instruction. Individual problems and/or whole assignments in which a majority of the class scores poorly should be re-taught. It is okay to throw out an assignment, re-teach the concepts, and give the assignment again. Every assignment should be scored because of every assignment matters. If it does not matter, do not waste the time to have your students do it. Standardized testing is another notable assessment that can provide valuable feedback year over year. This is more beneficial to you as a teacher than it will be to your students because there is a chance you will not have the same group of students two years in a row. Standardized test results are tied to the standards. Evaluating how your students did on each standard allows you to make adjustments in your classroom. Portfolios are tremendous assessment tools. They provide teachers, students, and parents with an in-depth look into student progression over the course of an entire year. Portfolios naturally take time to build but can be relatively easy if a teacher makes it a regular part of the classroom and uses students to help keep up with them. A portfolio should be kept in a three-ring binder. Teachers can create a checklist and place them in front of each portfolio. The first part of each portfolio should include all diagnostic and benchmark assessments taken over the course of the year. The remainder of the portfolio should be made up of standard related assignments, quizzes, and exams. The portfolio should include at least two daily assignments and one exam/quiz for each standard. The portfolio would become an even more valuable assessment tool if students were required to write a quick reflection/summary for each associated standard. Portfolios are the purest form of assessment because they encompass pieces that add up to a whole. Homework Help: How Do You Answer a Subjective Test Question? How Does Your Vision of the Ideal Classroom Stack Up to This List? Should Your Child Be In an Inclusive Classroom?